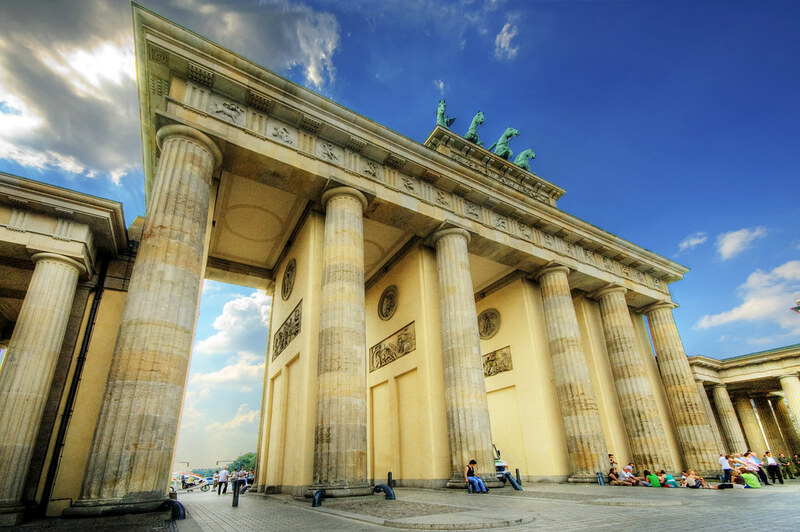 The Brandenburg Gate is the last remaining gate that in medieval times, would have been used to enter the city. 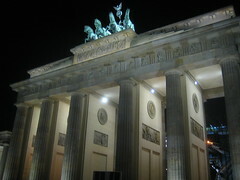 It is one of Berlin's most important landmarks, and a symbol of the city. It was commissioned by Friedrich Wilhelm II as a symbol of peace and building started on the structure in 1788. It is therefore ironic that during the Cold War and the time where Berlin was split between east and west, that the Brandenberg Gate sat in no mans land between the two states. On top of the gate, is a Quadriga - a four-horse chariot that in Roman times were a symbol of triumph. After the Prussian defeat of 1806, Napoleon took the Quadriga to Paris where it stayed for almost ten years until Napoleon's defeat after which it was returned to Germany. The Nazi's also used the Brandenburg Gate as a symbol of their power. Luckily, the gate was one of the few Berlin landmarks not damaged in the bombing campaign of Berlin. In 1989, when the Berlin Wall fell, the Gate was once again used as it was originally intended - as a symbol of peace and unity. 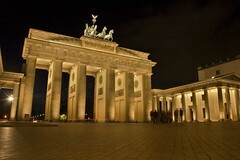 On New Years Eve every year, the Brandenburg Gate becomes a focal point for celebrations, with live bands and celebrations into the early hours of the morning. The Brandenburg Gate is located on Pariser Platz, at the end of the famous boulevard "Unter den Linden" (Under the Linden Trees). The gate is only a short distance from the German House of Parliament - the Reichstag. The best way to reach the gate is to use lines S1 or S2 to station "Unter den Linden". 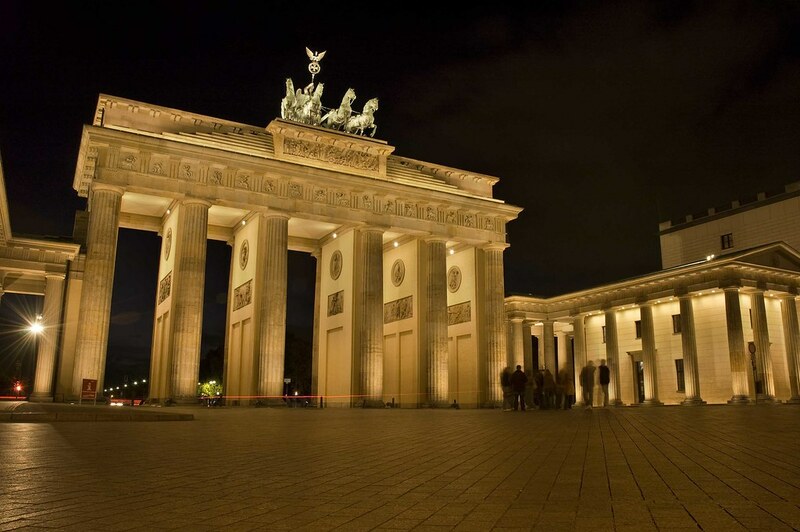 Have you already visited the Brandenburg Gate (Brandenburger Tor)? If so, let everyone know what you thought about it by writing a review! No registration necessary. Just click here to start writing! 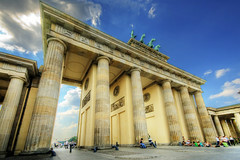 View all Brandenburg Gate (Brandenburger Tor) Pictures.